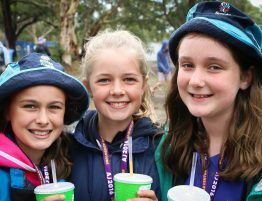 Home Groups: Ballajura Scout Group, Carey Park Scout Group, Hampton Scout Group, Leschenault Scout Group, Salter Point Sea Scout Group. Jamboree Troop Leader: Toby Blyth (Leschenault Scout Group). Assistant Jamboree Troop Leaders: Melissa Cox (Hampton Park Scout Group), Darren Everett (Ballajura Scout Group), Colin Schotte (Ballajura Scout Group), Sarah Hamilton (Hampton Park Scout Group). Home Groups: Carramar Scout Group, Darlington Scout Group. Jamboree Troop Leader: Brian Macauley (Carramar Scout Group). Assistant Jamboree Troop Leaders: David Chamberlain (Carramar Scout Group), Stuart Chase (Carramar Scout Group), Jennifer Rodgers (Carramar Scout Group), Glen Stenton (Darlington Scout Group). 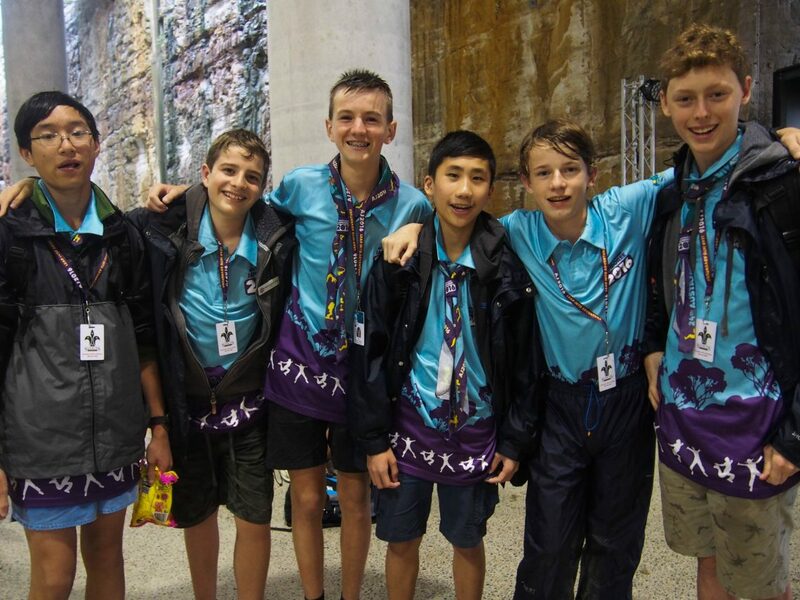 Home Groups: Roleystone Scout Group, Subiaco Scout Group, Wembley Downs Scout Group. Jamboree Troop Leader: Mark Thompson (Roleystone Scout Group). Assistant Jamboree Troop Leaders: Paul Cook (Wembley Downs Scout Group), Chris Higgs (Wembley Downs Scout Group), Katherine Thompson (Roleystone Scout Group), Neil Vincent (Roleystone Scout Group). 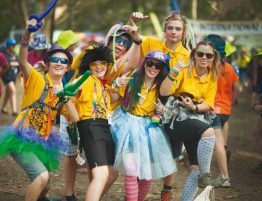 Home Groups: Bibra Lake Scout Group, Carlisle Scout Group, Denmark Scout Group, Goollelal Greenwood Scout Group, Karratha Scout Group, Secret Harbour Scout Group, Victoria Park Scout Group. Jamboree Troop Leader: Scott McMahon (Carlisle Scout Group). Assistant Jamboree Troop Leaders: Amanda Manson (Bibra Lake Scout Group), Wayne Roosendaal (Karratha Scout Group), Nicol Rudrum (Goollelal Greenwood Scout Group), Sean Westoby (Goollelal Greenwood Scout Group). Home Groups: Beechboro West Swan Scout Group, Bullsbrook Scout Group, Busselton Sea Scout Group, Bulter Scout Group, Collie Scout Group, Glen Forest Scout Group, Joondalup Scout Group, Newman Scout Group, Scarborough Beach Scout Group. Jamboree Troop Leader: Jennifer Pitcher (Scarborough Beach Scout Group). Assistant Jamboree Troop Leaders: Holly Matakiewicz (Collie Scout Group), Scott McKay (Busselton Sea Scout Group), Suzy Oldham (Newman Scout Group), Richard Sharpe (Glen Forest Scout Group). 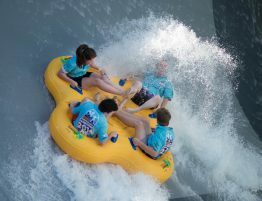 Home Groups: Albany Scout Group, Alkimos Scout Group, Boulder Scout Group, Bunbury Sea Scout Group, Wanneroo Scout Group. 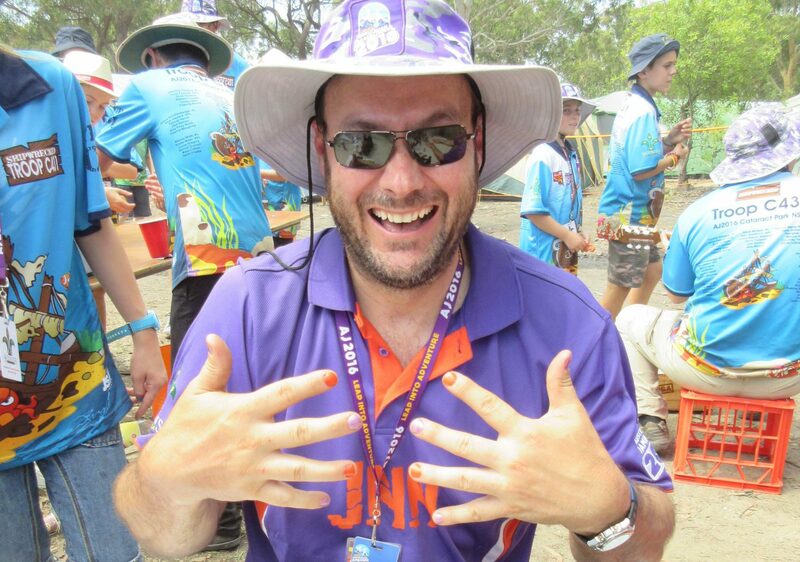 Jamboree Troop Leader: Chris Barugh (Wanneroo Scout Group). Assistant Jamboree Troop Leaders: Chrissie Clements-Jewery (Alkimos Scout Group), Michael Godding (Wanneroo Scout Group), David Clark (Albany Scout Group). 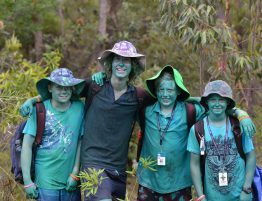 Home Groups: Bayswater Sea Scout Group, Floreat Scout Group, Manjimup Scout Group, Midland Scout Group. Jamboree Troop Leader: Daniel Wyatt (Bayswater Scout Group). Assistant Jamboree Troop Leaders: Lauren Harrison (Midland Scout Group), Thomas Liddelow (Midland Scout Group), William Morris (Bayswater Scout Group). Home Groups: Atwell Scout Group, Fremantle Sea Scout Group, Geraldton Scout Group, Pelican Point Sea Scout Group, Willetton Scout Group. Jamboree Troop Leader: Joanne Norton (Fremantle Sea Scout Group). Assistant Jamboree Troop Leaders: Darren Crofts (Atwell Scout Group), Anna Jefferyes (Willetton Scout Group), Vicki McGrady (Willetton Scout Group), Richard Tyrrell (Fremantle Sea Scout Group). Home Groups: Baldivis Scout Group, Cottesloe Scout Group, Northam Scout Group, Tuart Hill Yokine Scout Group, Warnbro Sound Scout Group, Woorree Scout Group. Jamboree Troop Leader: Owen Carter (Tuart Hill Yokine Scout Group). Assistant Jamboree Troop Leaders: Emma Bell (Tuary Hill Yokine Scout Group), Samantha Gibling (Warnbro Sound Scout Group), Stephan Page (Cottesloe Scout Group), Paul Tomkins (Woorree Scout Group). 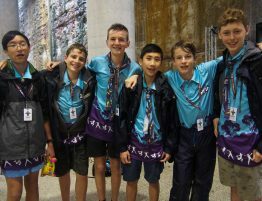 Home Groups: Cape Naturaliste Scout Group, Mandurah Scout Group, Riverton Scout Group, Cambridge Scout Group (Crusaders). Jamboree Troop Leader: Grant Leane (Riverton Scout Group). Assistant Jamboree Troop Leaders: Robin Archer (Cambridge Scout Group), Lesleigh Brinner (Mandurah Scout Group), Sherylee Tutt (Cape Naturaliste Scout Group), Mark Tyler (Riverton Scout Group). Home Groups: Ellenbrook Scout Group, Forrestfield Scout Group, Gooseberry Hill Scout Group, Herne Hill Scout Group, Kalamunda Scout Group, Maida Vale Scout Group, Mindarie Scout Group, Rockingham Scout Group, Walliston Scout Group, Joseph Bank Scout Group. Jamboree Troop Leader: Michael Mavrick (Gooseberry Hill Scout Group). Assistant Jamboree Troop Leaders: Laura Buckle (Forrestfield Scout Group), Duncan Dear (Mindarie Scout Group), Joanne Ludlow (Herne Hill Scout Group), Daniel Haugh (Rockhingham Scout Group). Home Groups: Byford Scout Group, Hamersley Scout Group, Kelmscott Scout Group, Liddelow Scout Group, Maddington Scout Group, Southern River Scout Group, Warwick Scout Group. Jamboree Troop Leader: Stephen Davies (Southern River Scout Group). Assistant Jamboree Troop Leaders: Colin Chaytor (Byford Scout Group), Michelle Hyde (Kelmscott Scout Group), Mark Joslin (Maddington Scout Group), Jarad York (Southern River Scout Group). 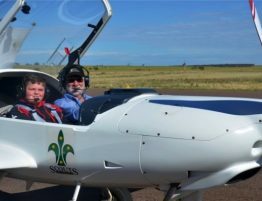 Home Groups: Australind Scout Group, Bateman Winthrop Scout Group, Beldon Scout Group, Bullcreek Leeming Scout Group, Eastern Hills Scout Group, Margaret River Scout Group, Mundaring Scout Group, Whaleback Scout Group, Willagee Kardinya Scout Group. Jamboree Troop Leader: Glen Wilkinson (Australind Scout Group). Assistant Jamboree Troop Leaders: Kathryn Daniels (Bullcreek Leeming Scout Group), Raymond Mulcahy (Australind Scout Group), Peter Wallington (Bullcreek Leeming Scout Group), Chris Woolven (Margaret River Scout Group). Home Groups: Esperance Scout Group, Gidgegannup Scout Group, Karrinyup Leave No Trace Scout Group, Kinross Scout Group, Kwinana Scout Group, Rossmoyne Shelly Scout Group, Waylen Bay Sea Scout Group. Jamboree Troop Leader: Dania Carson (Waylen Bay Sea Scout Group). Assistant Jamboree Troop Leaders: Iain Daggers (Rossmoyne Shelly Scout Group), David Mazzotti (Rossmoyne Shelly Scout Group), Sharryn Tomlinson (Esperance Scout Group), Rainer Buschenhofen (Waylen Bay Sea Scout Group). Home Groups: Armadale Scout Group, Cambridge Scout Group (Knights), Canning Sea Scout Group, Dianella Scout Group, Jervoise Bay Sea Scout Group, Padbury Scout Group, Two Rocks Yanchep Emergency Scout Group, Westfield Scout Group. Jamboree Troop Leader: Brett Chivers (Cambridge Scout Group). Assistant Jamboree Troop Leaders: Robert Barron (Armadale Scout Group), Jessamy Case (Canning Sea Scout Group), Peter Griffin (Cambridge Scout Group), Allan Miro (Dianella Scout Group).